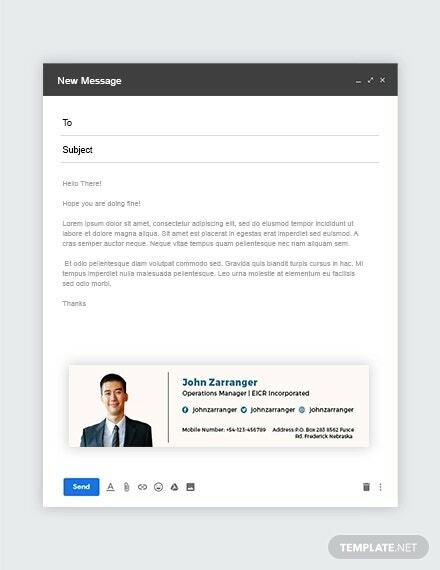 Looking for professional and catchy business e-mail signature templates? You’re on the right page. It is always good to leave every message with a memorable mark. 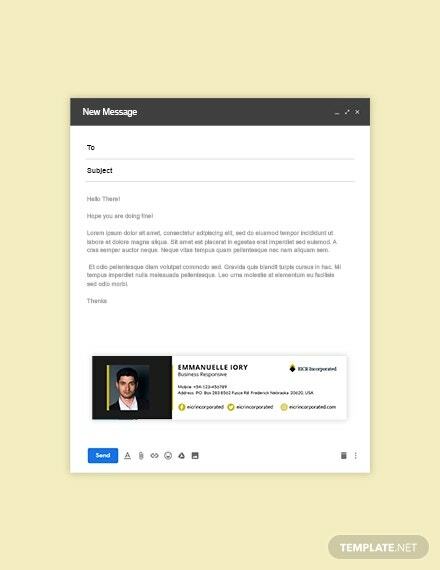 In line with this, a professional business e-mail signature will definitely help you leave end your message with style. 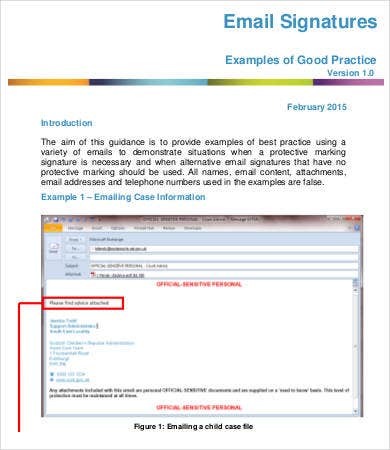 Always remember that an E-mail Signature is not just any block of of text appended to the end of the e-mail. It also leaves a mark on the reader or recipient of the e-mail. 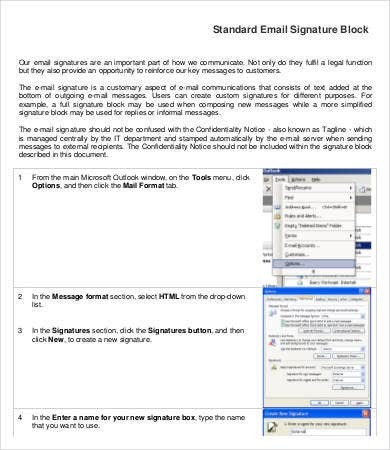 To help you with that, we have an array of business e-mail signatures that you can choose from. Name. You have include your full name. If you have earned academic and professional titles, you also need to include them such as Engr., Atty., Dr., etc. Title. In here, you have to emphasize your position in the company. E-mail address. This is very important particularly in terms of internal affairs and communication of the company. On the part of clients, this will be handy for them to maintain their connection with you. Photo or company logo. In here you have the option to add your company photo or your company logo. You can also provide both if you want to. This is a good way of making your clients know you more and the line of work you do in the company. Add other social media accounts. 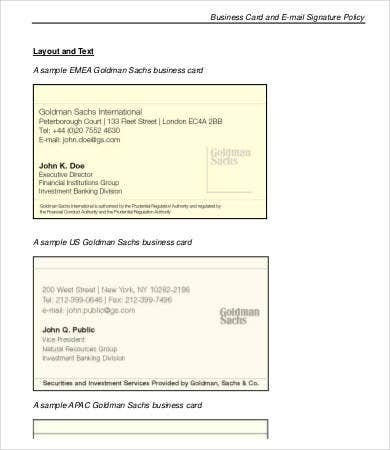 For business purposes, you can add your Facebook e-mail, Twitter, or LinkedIn accounts. 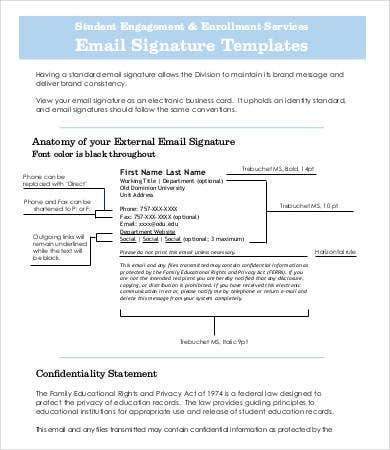 These are some of the elements of an e-mail signature. There are no hard and fast rules for this, and nothing is stopping you from making your own. 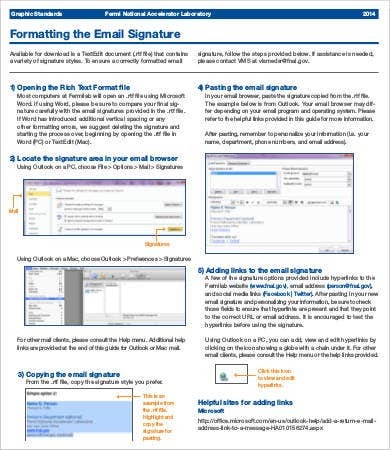 You can also check out our Outlook E-mail Signatures and more generic ones like our collection of Corporate E-mail Signatures. Keep it simple yet bold. They may seem contradicting at first glance, but being simple does not mean ordinary. You can be simple in your words, but the design can be bold. It represents an aura of stability and credibility to the public. Adopt a corporate or business look. Because you’re in the business world, no can never go wrong with sticking to what is professional. It is akin to a brand representation. Project a modern world. Clients are always attracted to something new and modern. Because of the ever-increasing changes in the global landscape, embracing the more modern designs would play a huge part in you great venture. 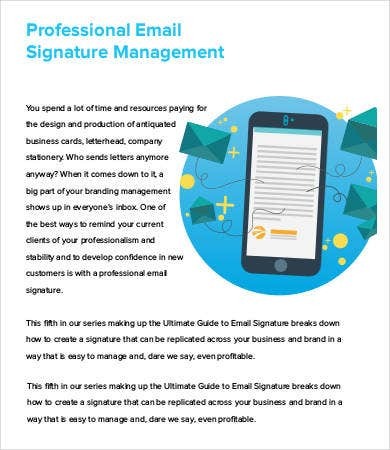 These are just some of the tips that you may consider in the course of designing your e-mail signatures. 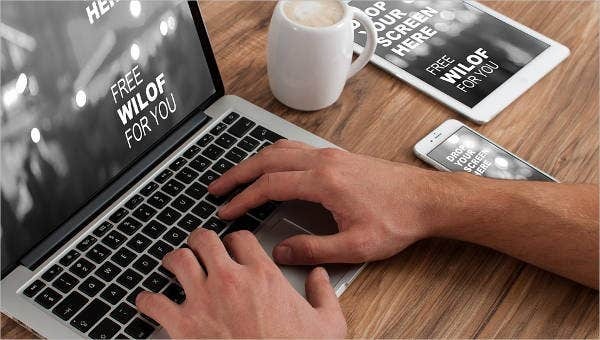 To help you hasten up, you can always download and use our templates. 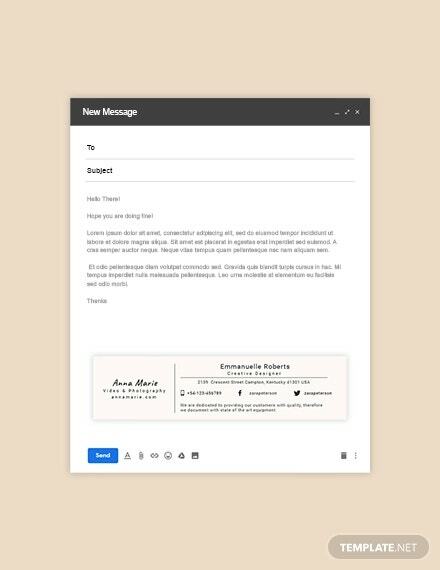 If you’re looking for Business Services E-mail Signature, we also have some templates for you. Feel free to download and use them as your references.